Hotel Flora is centrally based located in the heart of Lhasa city in Tibet-china. 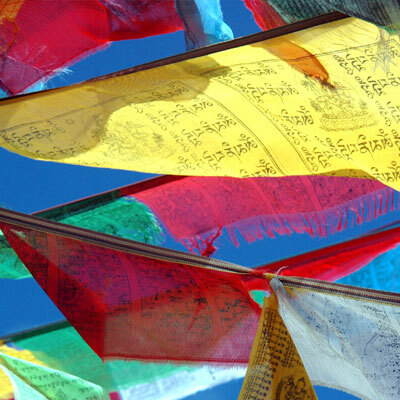 It is a private hotel managed by local Tibetan people; just 5 minutes walk from the famous Bharkhor local market. It has 20 rooms tourist standard room with attached bath hot and cold water 24 hours a day and 5 rooms is not attached bath room for economic stay. All rooms are decorated with modern amenities including TV and Telephone. Flora hotel has been offering its best quality services in the field of hospitality trade in Lhasa along with experience cooks providing continental food and delicious dishes and continental foods. Tibet kailash hotel is a three star hotel with standard design. It is located in lhasa city near 200 meters of Jokhang Temple in the east. The hotel has more than 60 guest rooms such as economy room, business affair centre, and council chamber, dining hall, cyber café and restaurant providing western style foods. Kyichu hotel is named after the Kyichu River which in Tibetan is known as the river of Happiness, the river meanders the fertile valley in which the fabled and formerly forbidden city of Lhasa is situated. It is conveniently situated between the sacred Jokhang temple in Barkhor square, and the world heritage famed Potala palace and just a few minutes walk from both in the ancient, traditional quarter of Lhasa. Kyichu has cozy 52 rooms and have adjacent conference room seating up to 30 personal and suitable for presentation, private meetings, functions, gatherings and banquets. It serves a wide selection of continental, north Indian Tandoor, Nepalese, Tibetan dishes. It has all room with attached bathroom and 24 hour hot /cold running water and provides same day laundry and dry cleaning services and major credit cards are accepted and luggage storage too. The hotel also boasts over 70 well appointed guestrooms inclusive of deluxe suites, standard rooms, double room and close circuit TV sets, top line sound, telephones and mini bar. It has western and Chinese restaurants and multifunction song and Dance hall and disco bar with up to date lights and like sparing no efforts to proffer ample space for your business and leisure. Lhasa hotel is located at 3680m, above sea level. It is the only international green four star hotels in Tibet. The next door to the hotel is famous landmark Norbulingka, the summer palace. It takes only 10 minutes of drive to the holy city centre-which you can see, the mystical potala palace. The airport is 65 Km away from the city. The hotel has 410 rooms and suites, presidential suites. It has four seasons restaurant, lobby, ticket booking , TV, 24 hour room service, laundry, doctor service, massage, salon, sauna etc. Brahmaputra Hotel occupies 30,000 sqm, situated in the Yangcheng Square, south of holy Lhasa. It is the first 5-star foreign affairs-concerning hotel consistent with Tibetan folk culture in Lhasa. The hotel has 186 western guestrooms and Tibetan rooms, all of which feature different styles and well facilitated. The deluxe and elegant Chinese and Western dinning halls, bars, well furnished luxurious banquet hall, meeting rooms, recreational and entertainment equipment will ensure you an unexpected stay. Brahmaputra Hotel enjoys an advantageous location and beautiful sceneries around Lhasa city. You can feel a special management and professional, friendly and efficient service right here! The hotel is a collective business enterprise that the temple belongs to. It covers the area to more than 700 square meters getting close to the Tashilunpo Monastery. The hotel owns the deluxe standard rooms, standard room, single room, double room, triple room, suite, meeting room, large dining room, and tea house. Shigatse Qomolangma Friendship hotel is located in Shigatse city and on the north is famous Tashilhungpo monastery. The hotel has more than 30 rooms, luxury suites, standard room, single room, triple bed room, and economic rooms as well. The hotel restaurant can serve more than 60 people and provide delicious dishes. Wutse hotel is situated in Sichuan South road of Rikaze City in Tibet. The main building is a three floor and decorated according to international three star levels. It has 80 deluxe rooms, 2 deluxe suites, 12 deluxe single bedrooms and three bed rooms. In restaurants they provide are Chinese and western food, including Tibetan food. There are multi functional conference hall and business center. They have comprehensive services like Internet, fax, phone, ticket and tour service, medical service, banquet facilities, meeting hall, 24 hour room service, and others. * Restaurant serving a mix of European, Tibetan and Asian Cuisine. * Teahouse/cafe serving tea, coffee, beer etc. * Business Center with Internet, photocopy, IDD phone & fax service. Shigastse hotel is three star tourist hotel, founded in 1985. It lies in the centre of Shigatse city. There are 126 guest rooms, including western suites, Tibetan suites, western standard room and single rooms. There are eight restaurants and banquet hall which offer buffet, Tibetan food, Chinese fod and western breakfast. It provides massage, salon, sauna, bar, fitness room, shopping center. Chugu former hotel in Gyantse, is one of simple former by Gyantse county sang Gai Chu Gu village, investments. The hotel has luxury suites, luxury singles, standard rooms and economy rooms available. It has Tibetan style restaurant serving Tibetan, Chinese and western food. It is capable of serving up to 100 guests simultaneously and have convenient communication. It only takes 2 minutes driving distance to Khumbum monastery and 100000 Buddha stupa. A three star hotel with a strong Tibetan flavor located in the downtown of Gyangtse city linking Lhasa 260km to the northeast. The hotel provides 246 beds in standard and deluxe suites and single rooms in both Tibetan and Western style, 24 hour hot water. It also features 30 plus channels including TV and one banquet hall which can hold 300 guest at one time and posh cafe other services like sauna, massage and beauty salon. The hotel earns a good reputation from the guest due to the quality service and rational administration. Your stay in the hotel will also be enriched by the sun-lit lobby, posh café & bar, handicrafts filled shopping center, a business center, DDD & IDD in guest rooms, a beauty & massage salon, sauna, a ballroom, a gym and a clinic. The extra services as taxi hiring, national costume photo taking, the frequent local performance and the panoramic view from the 5th floor make your stay a pleasant one. The hotel earns reputation from the guests due to the quality service and rational administration it provides, and was listed the top 96 china hotels and is the winner of the “value of contract & observe prestige unit” awarded by the people’s Government of Tibet for 5 successive years since 1996. Shangai hotel of lazi is located in the center of Lhaze country of Shigatse district. It is about 140 km away from Shigatse city and 180km from the Everest. It is three star hotel and has 44 guest rooms including 5 suites, 6 single rooms, and 33 standard rooms. Its restaurant serves Chinese food, western food and Tibetan food also. The hotel is equipped with grand ballroom, KTV, banquet , luxury conference room, beauty salon, tea room. Shanghai hotel of Lazi is one of the high grade hotel among shigatse District for its scale and quality. Yulong Holiday Hotel is the one which was built as a international three-star hotel, the area is over 10000 square meters, and it is located in the center of Yalong, which is the national class famous touring place, Tsedang town. 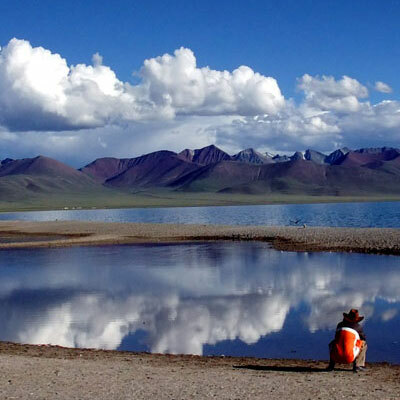 Only 97 km far form the airport, 160km from Lhasa, and the elevation is 3500m, and with good translation system. 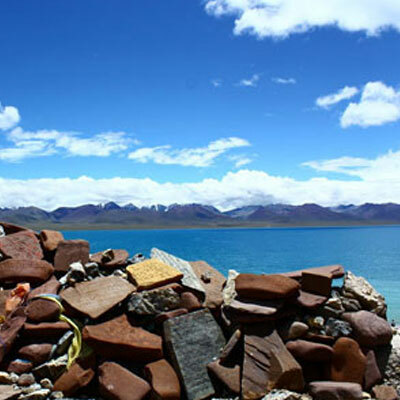 It is the best first-stop for the entire guests to enter Tibet. There are luxury suite, standard, single, and comfortable normal rooms, totally over 90 various rooms. And TV, Hi-Fi telephone, mini-bar, conversation room, café, and tea bar included 500 persons are capable to be received in our Chinese, Tibetan, and western style canteens. And we offer best service in any time. Tsedang Tibet Hotel is central for the 1984 20th anniversary celebration of the Tibet Autonomous Region of 43 key projects identified is one of the first international Shannan four star hotel. Tibet Hotel is located in the only state-level scenic spots Yarlung Hill Nanze when town from Gonggar International Airport 97 km. from Lhasa165 km. Elevation 3,500 meters. 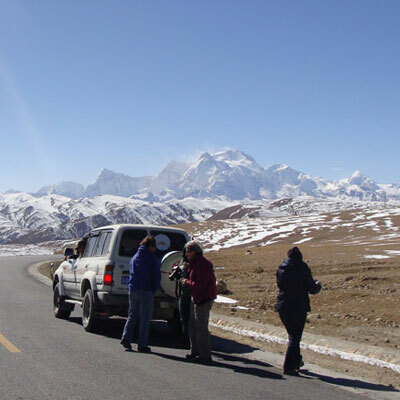 Pleasant climate, convenient transportation, is ideal for tourists; the first stop in Tibet. The hotel has 233 sets of guest rooms, 409 beds, seating 750. Architectural theme of fusion of the “Tibetan, Chinese, European,” the three design concepts, software and hardware facilities are first class, is the perfect place to stay. The hotel has guest floors, commercial floors, luxury suites, Tibetan-style rooms, standard rooms, single rooms with comfortable and spacious guest rooms 215 units, all rooms and public areas to achieve broadband and wireless Internet access; in Tibet also has a different style of restaurant and 8 banquet hall, which provides Cantonese cuisine, Sichuan cuisine, Western and Tibetan ethnic flavor unique meal. Hotel class meeting and entertainment facilities, with advanced equipment, fully functional, modern multi-media conference room 5, can hold 10 to 200 people ranging from all kinds of conferences. Business center, bath center, bars, cafes, tea gardens, shopping malls and other ancillary entertainment readily available to provide you with a full range of leisure and entertainment services. La Saze Tsedang Tibet when the hotel restaurant into the advanced management and service philosophy has always been adhering to the “customer first, quality first” principle of service, its unique location, perfect modern facilities, cordial and caring human services, will be your business travel in the Holy Land of Lhasa’s first holiday place to stay. 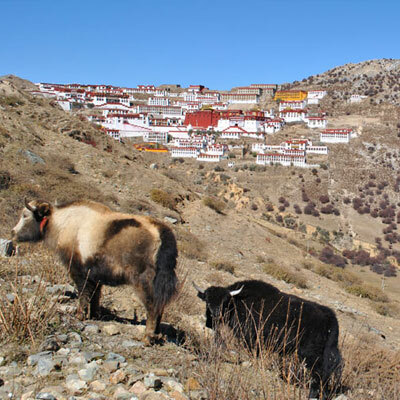 Tibet Dingri Zhufeng Hotel is located in Baiba Township of Dingri country at foot of Mont Qomolangma southwest part of Tibet, which is 510 km far from Lhasa, 240 km from Rikazhe, 240 km from Zhangmu, 100 km from the base camp of the world famous Qomolangma and 5 km from No.1 Checkpoint of China-Nepal Highway. It is one of the highest elevation hotels in the world. 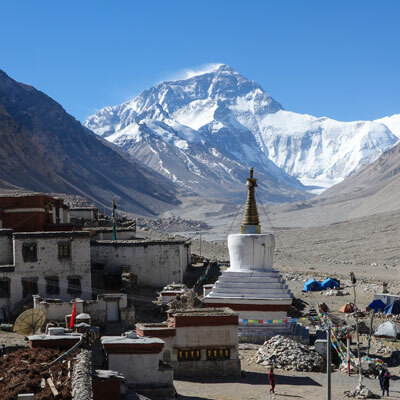 While it is standing in the golden tour line between Rikazhe to Zhangmu, which is not only the only way for tourists from north and south, but also the first base camp and optimal rest camp for those to region Qomolangma for touring, investigation, exploring and mountaineering. The region of our hotel belongs to has been classified as “state-Grade Mont Qomolangma Nature Preservation Zone” inside where there are several most splendid landscape of alpines and valleys in he world, such as Mont Qomolangma with elevation of 8844.43 meters and other four peaks above 8000 meters above sea level, i.e., Luozhi Peak, Makanu Peak, Zhuoaoyou Peak and Xisiabangma Peak. As saying for the valley to be developed soon that has been reputed as “Most Beautiful Valley on Earth” in 1992. Gemagou has very beautiful alpine landscape and very dense primitive forests where is the most beautiful place in the whole Himalaya Mountains and even in the whole china. The primitive ancient temples and nature of fresh air have the strong appeals for those living in the area of high buildings with crowd population and serious environmental pollution. There is about 120 km distance from Gemagou to Dingri Zhufeng Hotel. Dingri Zhufeng Hotel possesses 180 bed seats consisting of standard room. Tibetan style standard room, top-grade economy class room and ordinary economy class room, its dining hall can receive 120 persons for dinner simultaneously. There still have big conference room, bar, characteristics of out –of –the-way place and high elevation. Our hotel can provide necessities of traffic, communication and medical treatment for emergency service caused of altitude reaction or anoxia. The Sakya Monasarovar hotel is located is Sakya country and it distance 160(km) from shigatse town. The hotel is build in Sakya country. And Sakya is very popular monastery in all over the world by tourist. The hotel is two star and total 120 beds, deluxe rooms, double rooms, common rooms and all standard rooms include 24 hours hot water, heat and air conditional plus complimentary breakfast in the hotel restaurant. Tibetan owned and operated the Sakya hotel is continually improving it’s service, quality and English ability to better serve the guests. We warmly welcome you to the Sakya Monasarovar hotel. It is our pleasure to be a part your visit to Tibet Sakya hotel!